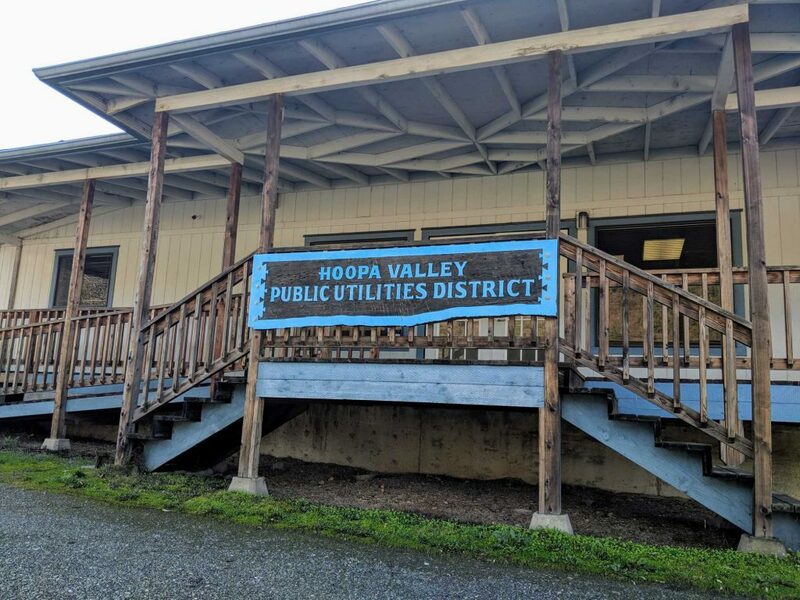 The Hoopa Valley Public Utilities District is committed to providing numerous services within the boundaries of the Hoopa Reservation. With that being said, we take pride in providing safe and pleasant drinking water with the help of cutting edge technology through membrane filtration coupled with Ultra Violet treatment and onsite chlorine generation. Additionally, we provide sanitation facilities and services which consist of a septic tank and leach-line installations and sewer pumping for residences. Likewise, through the Western Association of Powers Administration (WAPA) program we provide electrical power to 30 Tribal Entities at a fraction of the cost of PG&E or RCEA. Some of our goals at the District is to expand the electric service to all the residences within the Reservation, create at least four more full-time positions and be completely self-sustainable. Our Staff consists of ten full time and four part-time seasonal employees. If you have any further questions or would like to know more about our operation and services, please contact us.